If your business has outgrown the space you’re in you might need to take advantage of the portable storage containers in San Diego from Haulaway Storage Containers. These storage containers come in sizes as small as ten feet in length and offer you the container storage you need to have the added space for your business to grow. This can be the perfect solution if you operate a small shop and your tiny storage area has become overrun, leaving you no choice but to find a way to expand. 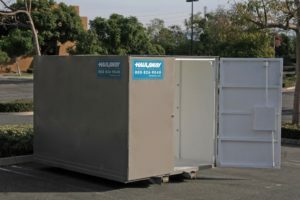 The portable storage containers in San Diego that are brought to you by Haulaway Storage Containers offer you the ability to have items securely stored on or near your store location while giving you the benefit of added container storage to make use of. With the holidays coming up you might need to have extra items on hand, but when you don’t have the room at your store to make this happen the storage containers from Haulaway can be the right solution for your business to help make sure you never run out of inventory during this busy season. Don’t enter your busy time or be overrun by a storage space in the back of your store that offers you little to no storage space; make use of the storage containers from Haulaway that give you the best way to have the container storage you need to have for your business. When added storage is the right solution for you, one of the different sized portable storage containers in San Diego from Haulaway Storage Containers is the answer you seek. Give them a call today and see how this space benefits you.